In September 2015, Apple made a controversial move that created quite a stir in the online advertising industry – opening doors to the ad-blocking technology in its flagship devices- iPhone and iPad. Though Ad blockers have been around for years, it was Apple’s decision to allow iOS 9 users to have built-in ad blocking plug-ins for the Safari browser that catapulted them into limelight. 700 million iPhone users blocking the ads is a nightmare for any marketer- to say the least. 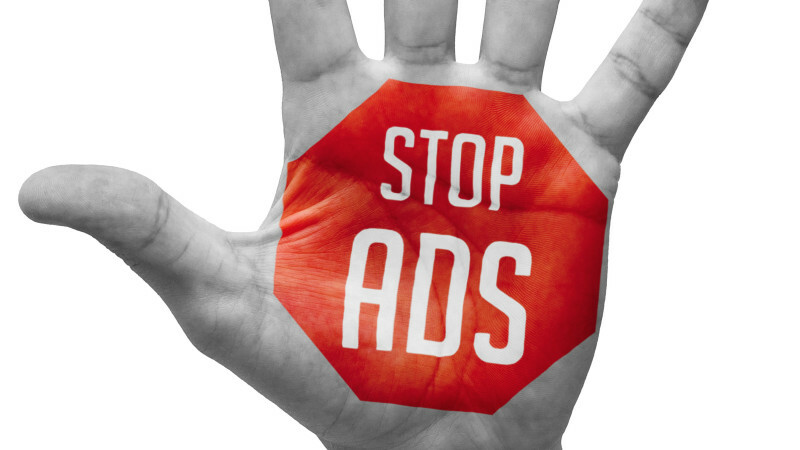 So let’s delve into Ad blockers and analyze how they impact advertisers? Ad Blockers: What Are They? Ad blockers are apps (like plugins/browser extensions) that remove the advertising content on a webpage. They remove the ad content and replace the space with whitespaces or in some cases leave holes where the ads would’ve been placed. What do they block? Most ad blockers target the annoying ad types such as pop-ups and banner advertisements that flash every now and then. On the other hand, some apps block things specifically such as tracking codes that can track user’s online activity compromising one’s privacy. Faster page load times, secure web browsing and elimination of annoying ads – benefits to the users is evident. No wonder, Ad block plus, the leading ad blocking tool on the market has 60 million monthly users and 300 million downloads so far. Ad blockers blocks the advertisements and interferes with the analytics code that collects the valuable data that provides insights into user behavior. It causes inconvenience to marketers and publishers alike. Sample this: 1000 people visit your website and 20% of them have ad blockers installed in their devices. As a result, your analytics will show only 800 hits and the remaining will be invisible. You end up losing critical marketing data such as page views and demographics, which is far too valuable to be ignored. Another important area where websites take a hit is the user experience. Since the blockers remove the advertising content, your website will look as if it’s missing content on the sides, or has broken links. KissMetrics reported that even call-to-actions are being removed due to ad blockers. This is definitely an alarming situation for a website that relies on advertising for revenue. Economic impact of Ad blockers has been far greater than imagined. According to a recent report, a staggering $22 billion in ad revenues has been blocked in 2015, which represents a 14% of global ad budgets. There are about 200 million people stopping ads, out of which 181 million are desktop users. From the study, it appears that mobile ad blocking is still underdeveloped. But it’s fast changing with Apple supporting pop-up blockers in its Safari browser. According to Digiday, by 2018 mobile display ad revenues will overtake desktop, touching $55 billion in total. Ad-blockers have served to be a wake-up call to the top online properties that rent out advertising space. On the top of the chain, sits Google, which is facing a potential ad revenue loss to the tune of billions of dollars. According to Google’s SVP of advertising and commerce, Sridhar Ramaswamy, right from the publishers, the advertisers, the networks (even ad blockers to some extent) everyone has something to lose. He says, “This is something we need to address together as an industry. We need standards of good ads that you and I would find acceptable as consumers”. Yahoo’s Marissa Mayer went to say that “it’s a mistake to install ad blockers”. According to her, ad blockers result in the loss of a rich, full experience of the web. It was quite expected, given that 70% of Yahoo’s revenue comes from advertising. Some companies have gone ahead and blocked users who have installed ad-blocking software. As absurd as it may sound, there are reports of Forbes and GQ preventing users who use the ad-block tools from viewing their articles. Industry experts agree that advertisers and publishers are equally responsible for this scenario. The way the ads feature in the sites have significantly contributed to the ‘annoying’ factor that has led to the birth of blocking tools. Ad blockers have posed creative challenges and certainly a business challenge that marketers will have to tackle- very soon. The fact is, not everyone hates ads. It’s just the annoying ones that are despised. Just try navigating a handful of popular websites and you’ll know why. These are the sites that have led to the rise of ad blockers. The solution to this problem is not black-and-white and it requires everyone associated with advertising to come together and address the elephant in the room -miserable ad experience. As Ramaswamy points out, the industry needs to co-ordinate and agree on advertising standards. Interestingly, there are ways to skirt the effects of ad blockers. Facebook, for instance, has come up with ‘Sponsored posts’ where advertisers can target individuals based on their likes or previous visits. Similarly LinkedIn, with its Sponsored Updates feature, is changing the dynamics of online advertising. Content is now directly targeted at a qualified and segmented audience that might be interested in your product. With a number of options in the array, marketers have to be smart about where to invest their advertising dollars. By forcing the advertisers to look beyond traditional PPC and banner advertising, ad blocking has pushed them to become more inbound, more customer centric in their approach. Navigating in these choppy waters will take some time getting used to, but ultimately everyone stands to gain a much better online experience out of it. So the future of Digital Advertising, you ask? Inbound Marketing is the answer. It is in and here to stay. It’s up to the world to catch up or get left behind!